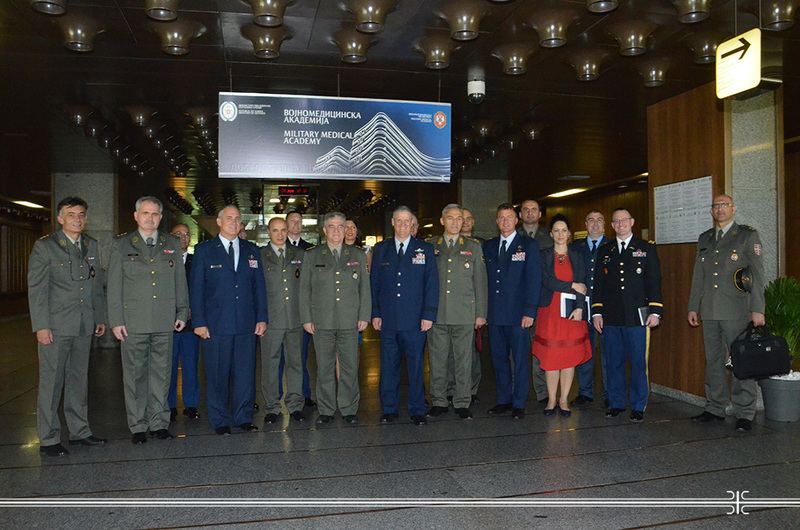 The commander of the Ohio National Guard Major General Mark E. Bartman, who was paying a visit with his associates to the Ministry of Defence of the Republic of Serbia, met with representatives of the Military Healthcare at the Military Medical Academy. Deputy Head of the Military Healthcare Department Colonel Dr. Jovicic Ugljesa thanked the American side for the excellent cooperation in the field of military medicine, particularly through the joint medical engagement of US, Serbian and Angolan military medics last year in the southern Serbia. He said that this kind of international cooperation is a great support to civilian medicine and in that way the MMA sends a clear message that it is accessible to all citizens. Major General Bartman said that preparations for a new joint engagement in Angola are on schedule and that the American side is interested in continuing talks on the future activities of common interest for both sides.